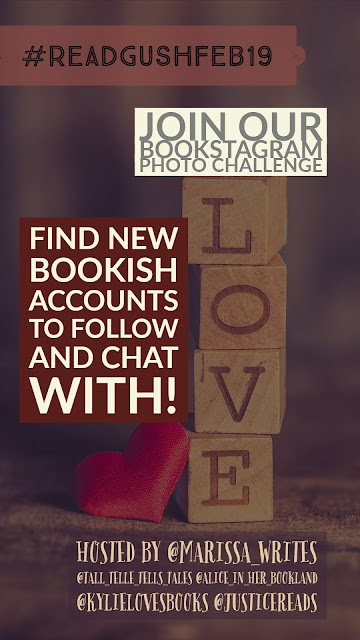 I hope our focus of Bookstagram 101 throughout the month has helped you! We, the hosts, have been trying to give shout-outs, and comments and likes, but there are so many of you!! If you are enjoying the challenges, try to engage with others in the challenge, grow the community with us. For the month of February we are going to focus on love, because well, it is February. 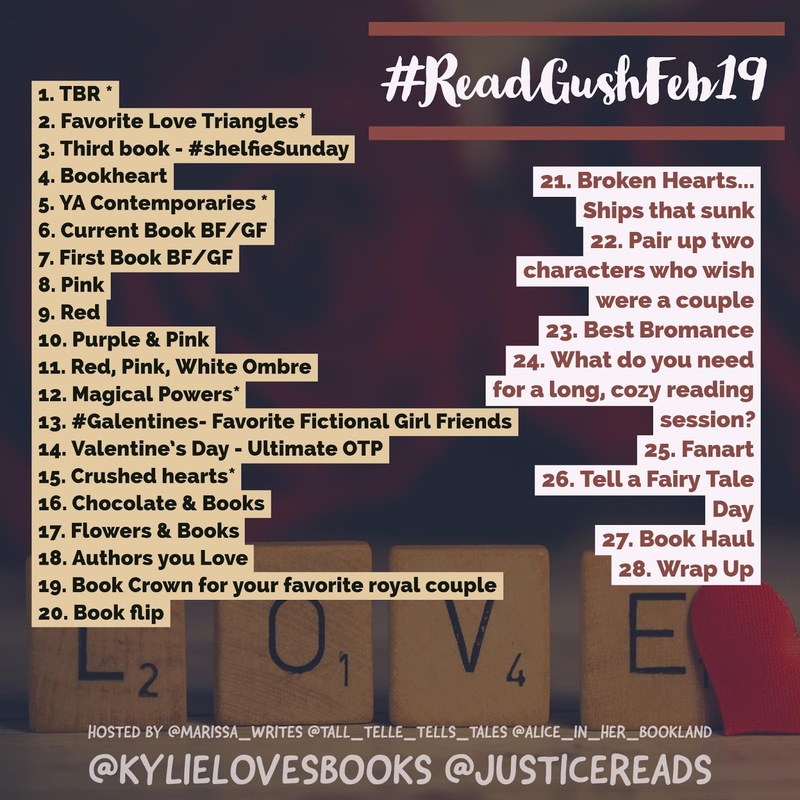 And novels always deal with love of some sort... so be ready for all the gushing over your favorite couples, friends, and families! 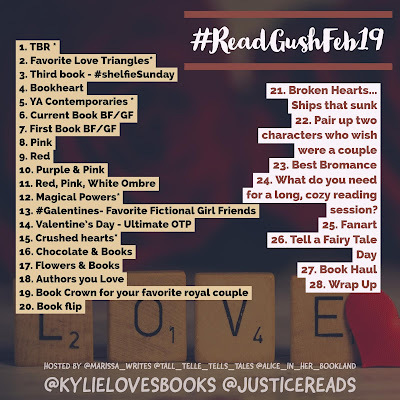 We will be using the hashtag #readgushfeb19 so set up to follow it now, and you won't miss out on the community activity. 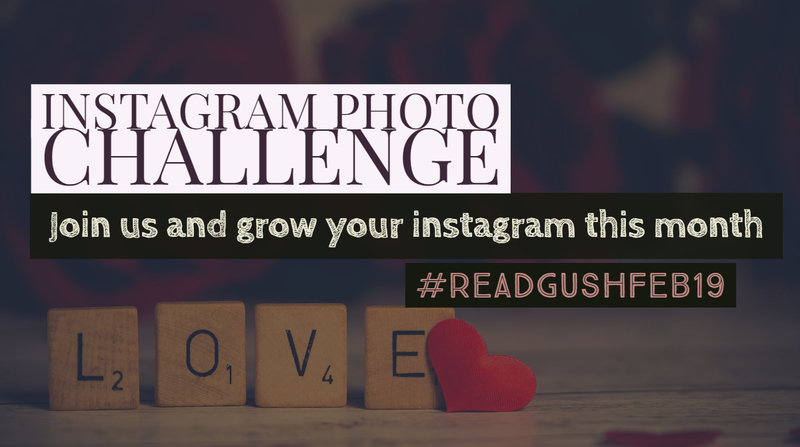 Share the challenge image in your stories, with the hashtag, maybe even tag all the co-hosts so we can shower some love on you. Or even, follow the co-hosts! And if you have any questions leave them here, or jump over to my Instagram and ask me there. Are you new to blogging and social media? 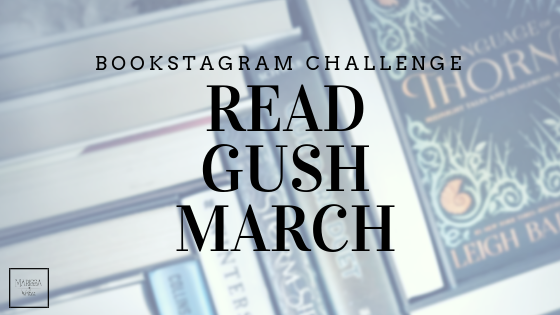 Stop over and check out this post where I explain why Instagram is where you need to focus your attention on. Are you new to Instagram? And the challenge? Make sure you leave a comment below so I can search you out! 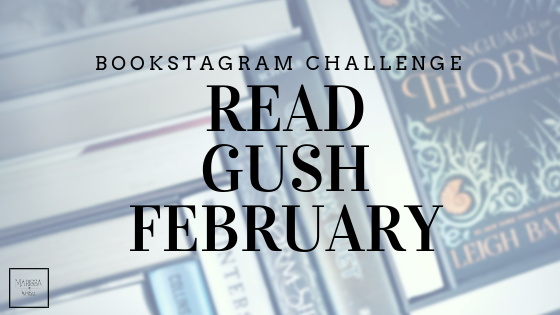 I love to spread the love for my fellow bookstagrammers! 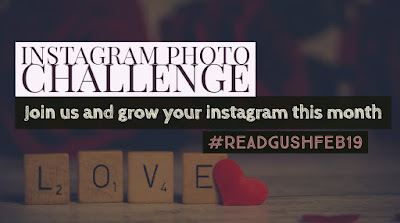 Do you love Instagram photo challenges? 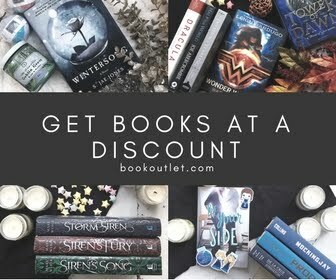 Are you a book fanatic? Leave me a note, I'd love to chat with you.